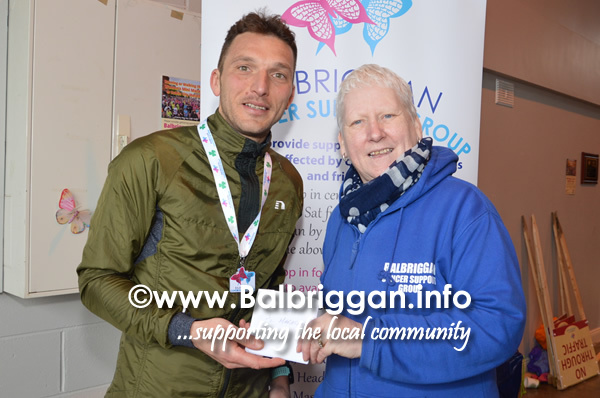 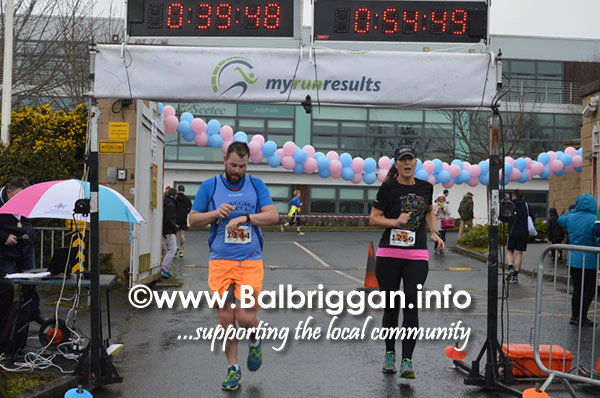 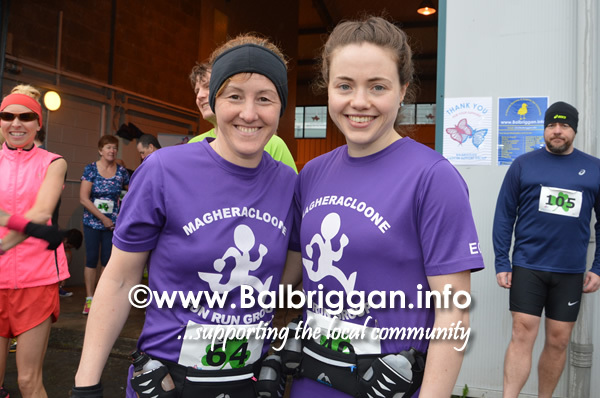 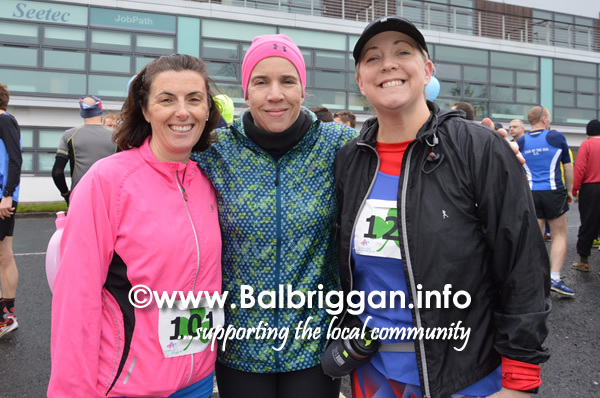 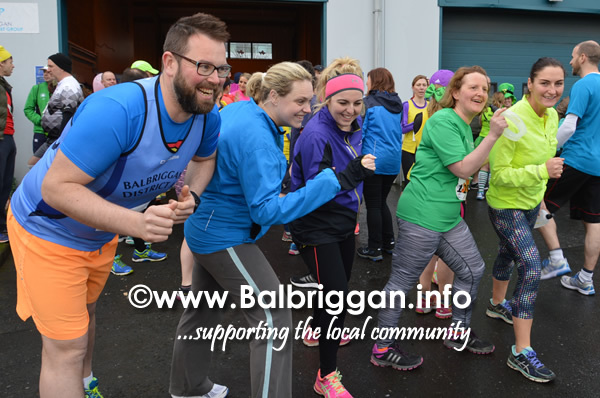 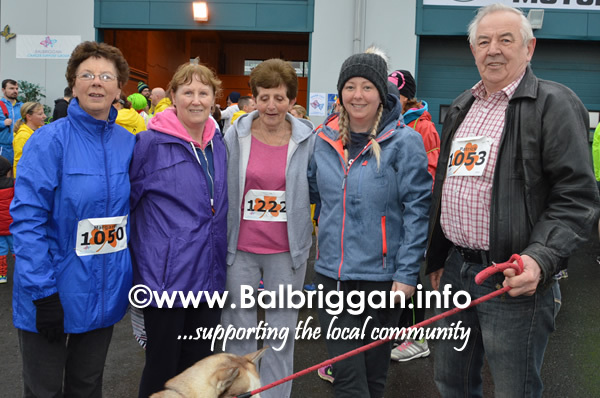 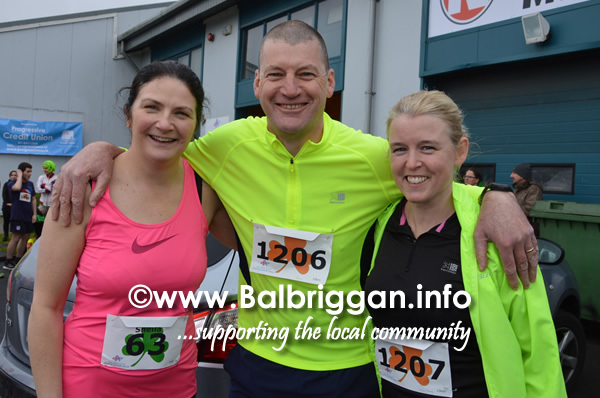 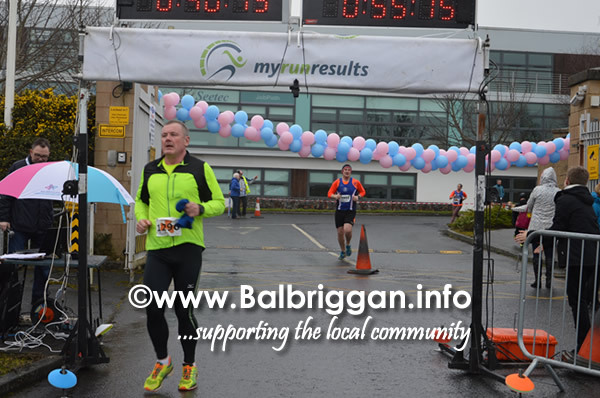 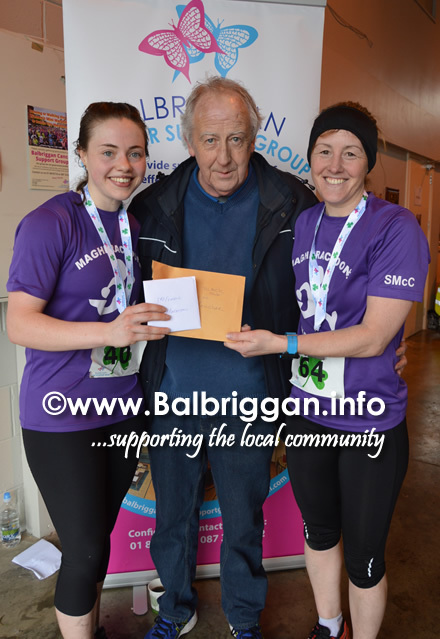 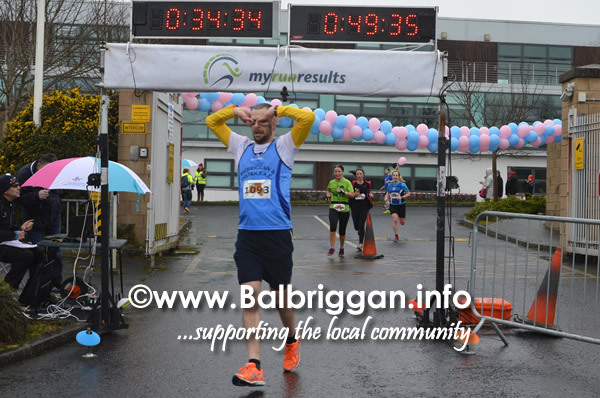 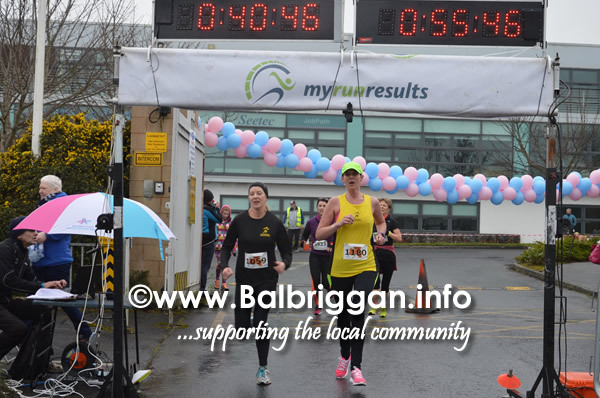 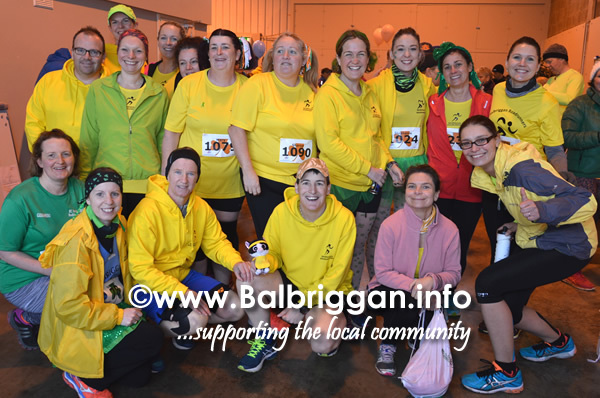 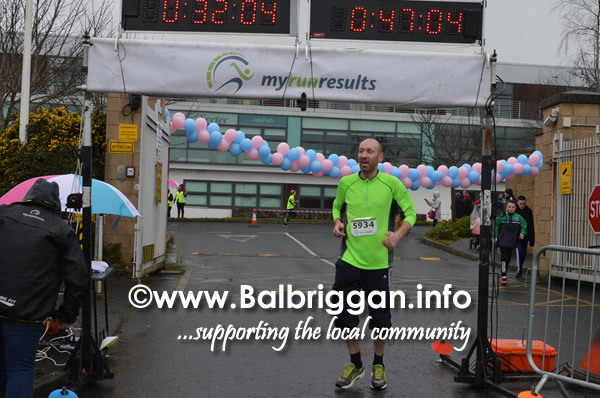 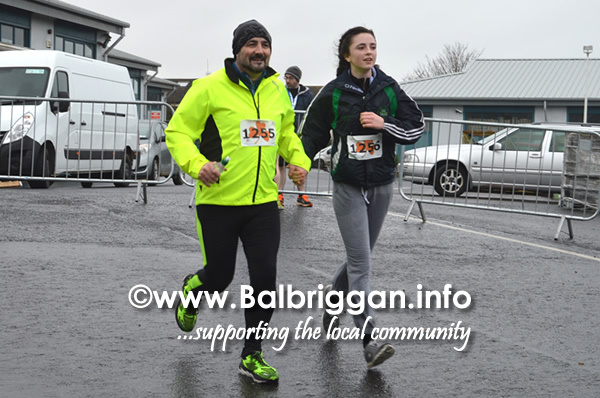 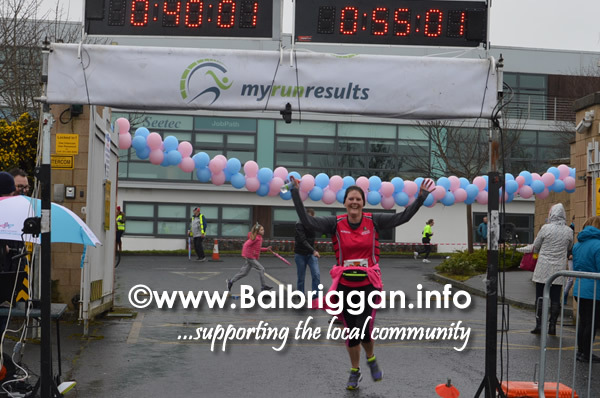 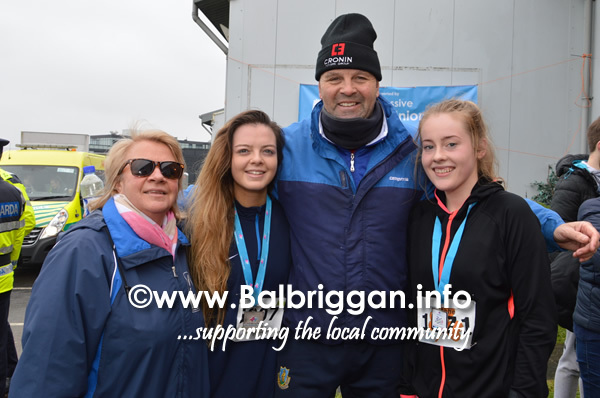 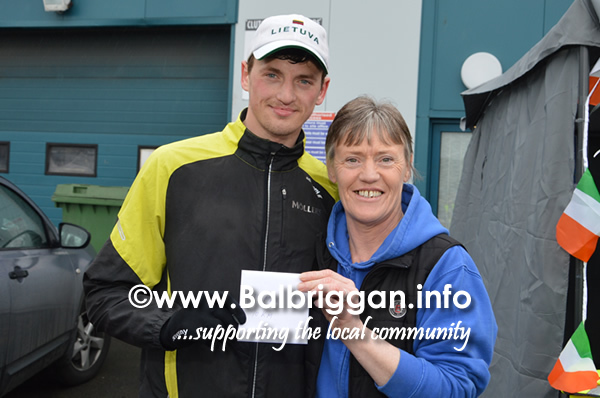 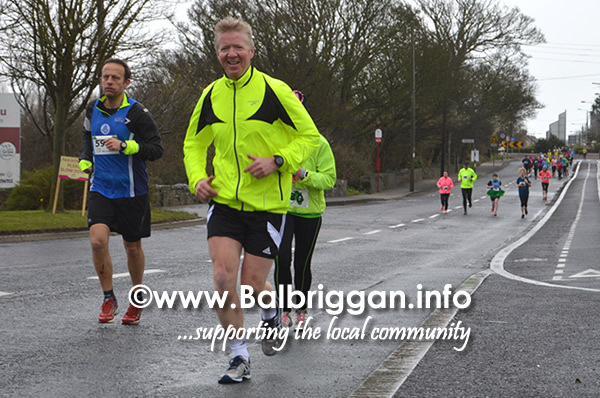 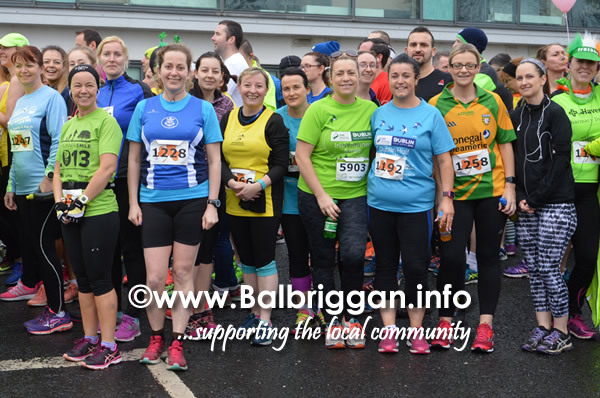 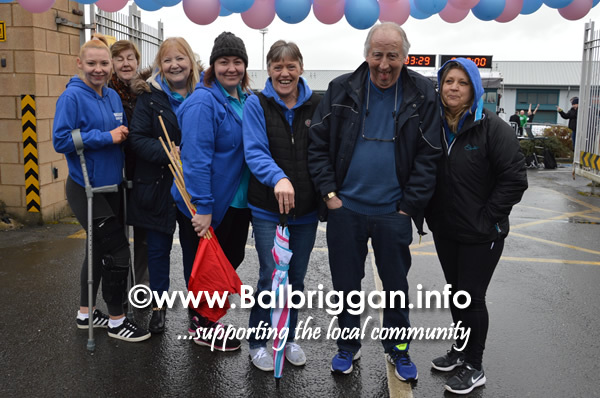 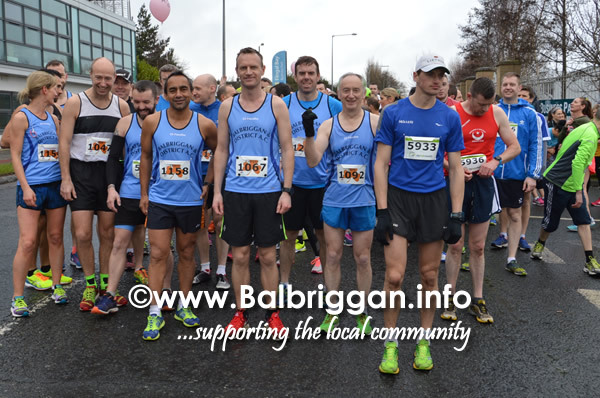 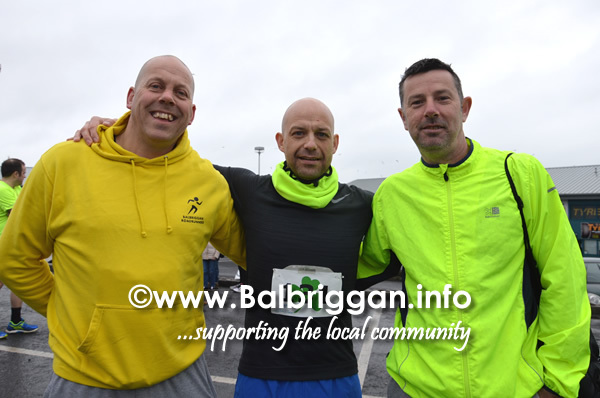 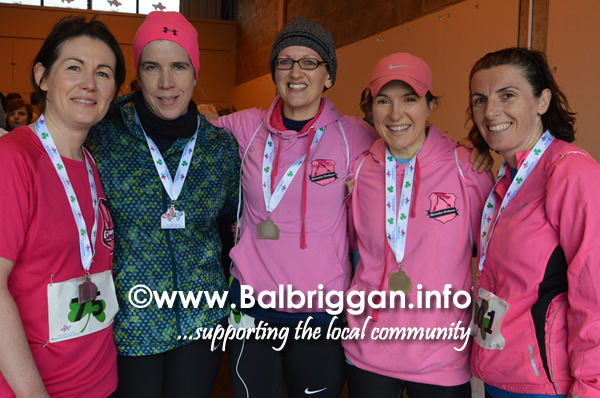 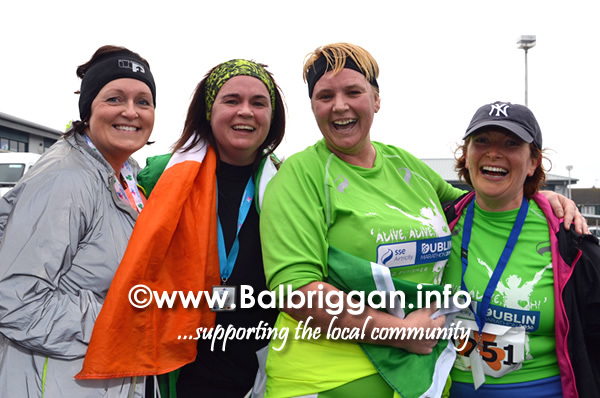 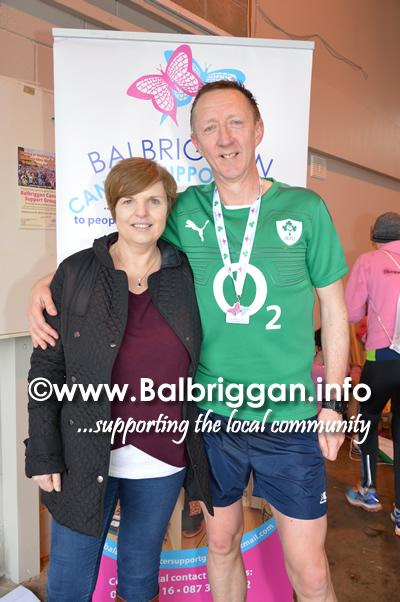 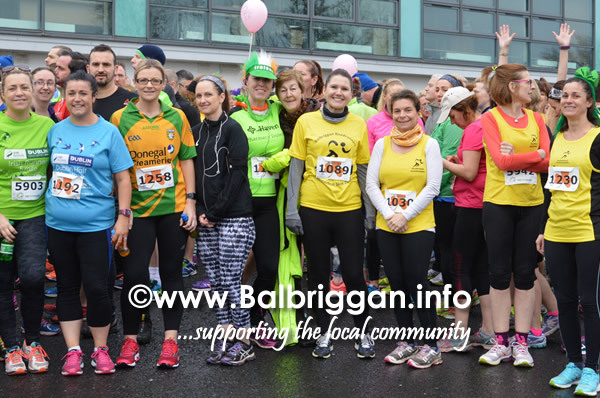 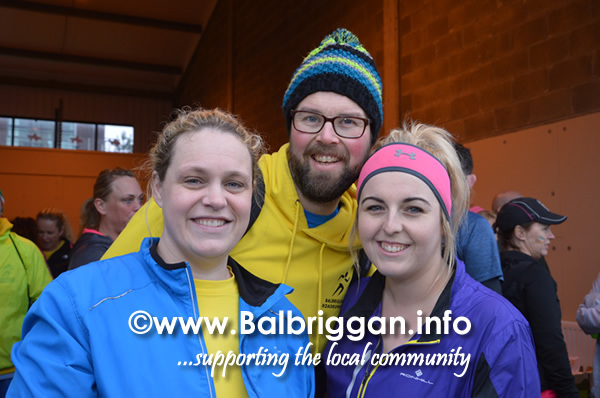 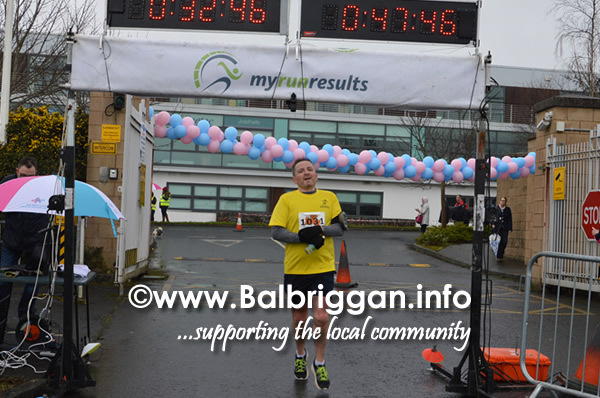 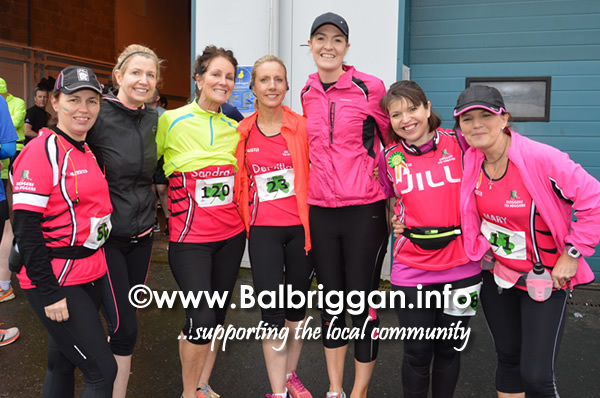 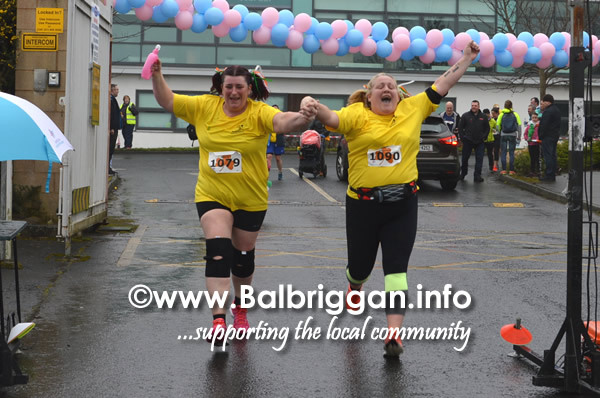 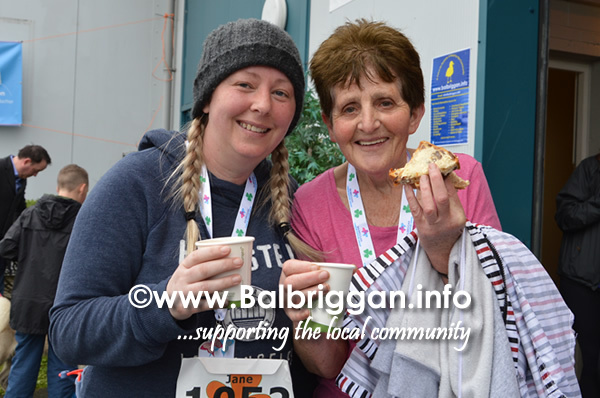 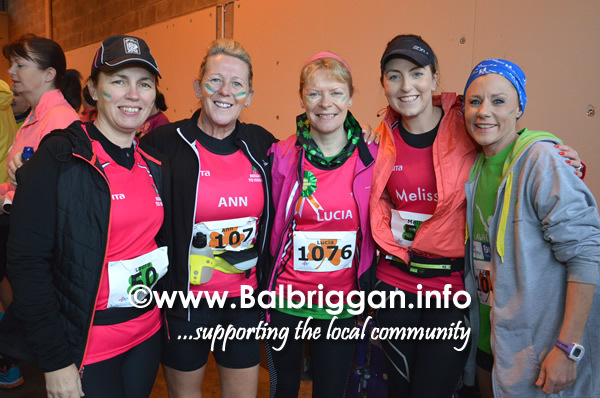 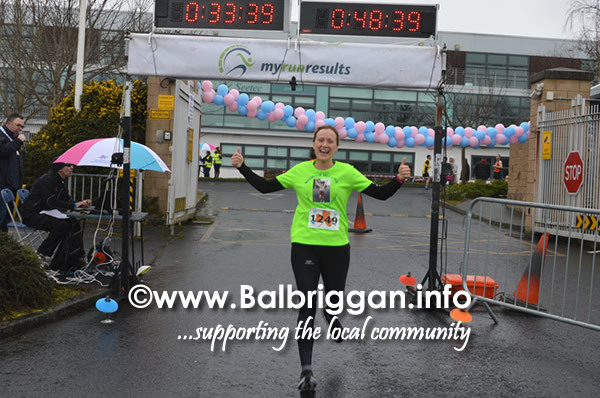 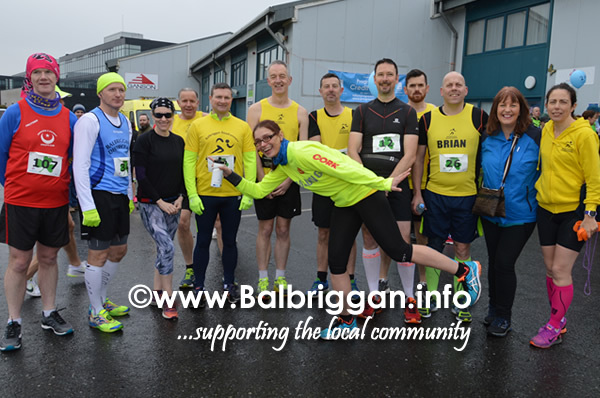 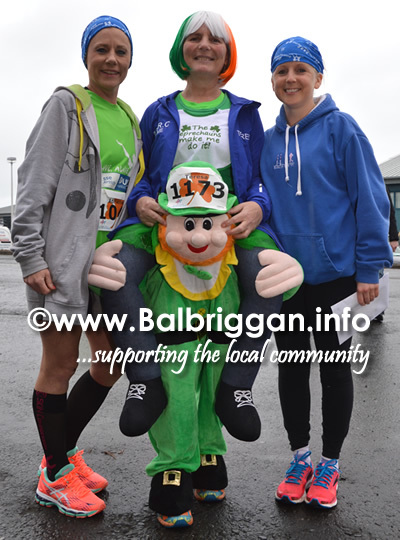 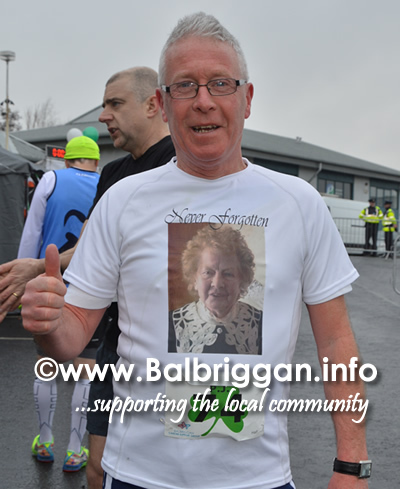 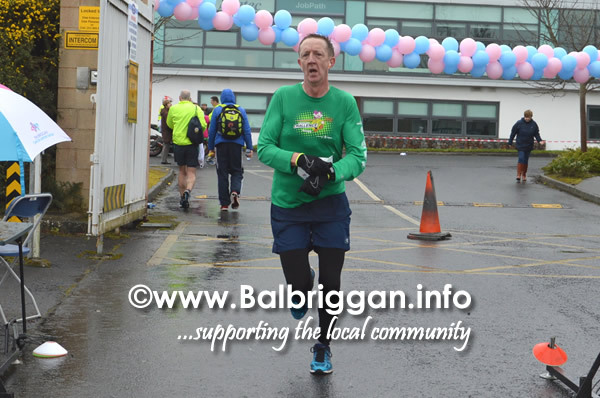 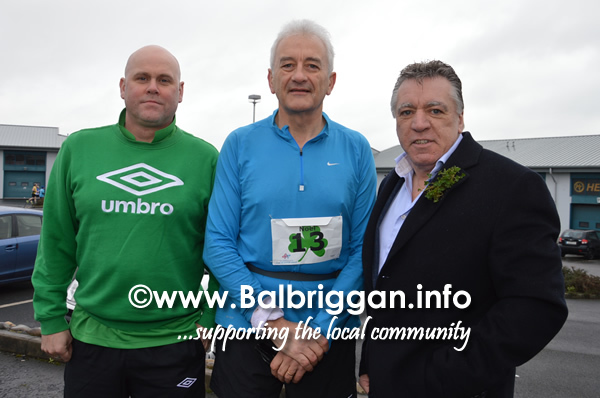 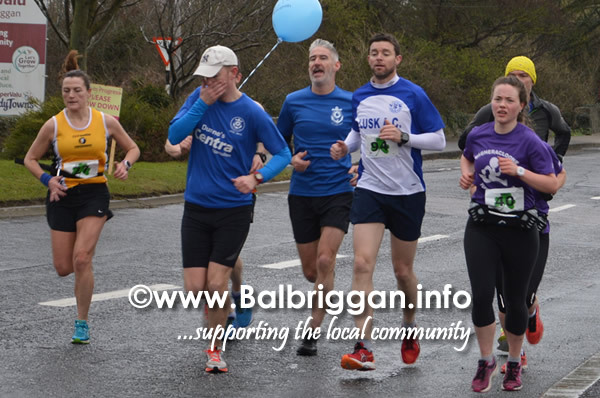 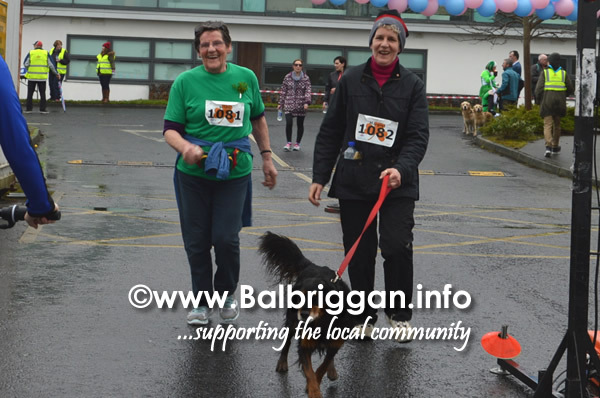 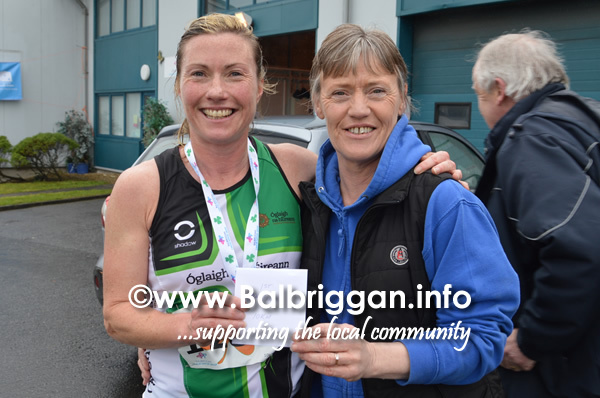 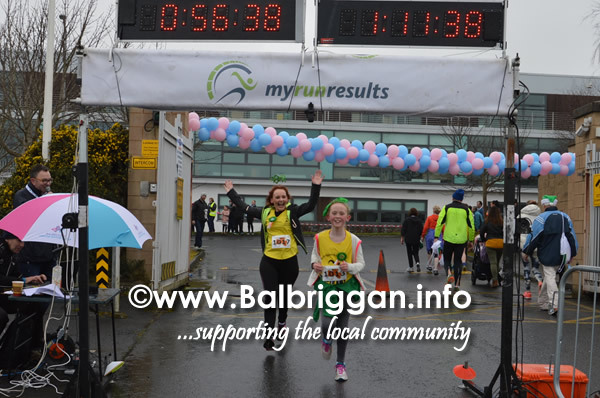 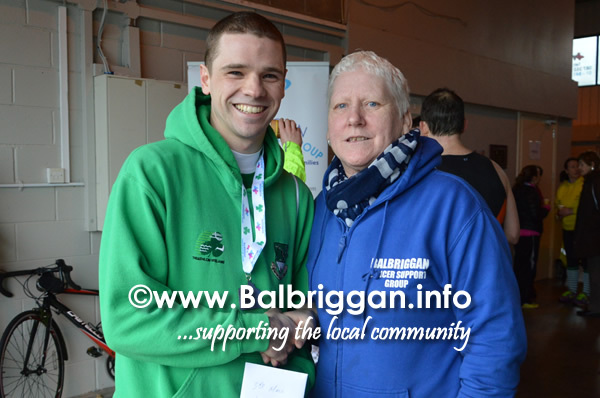 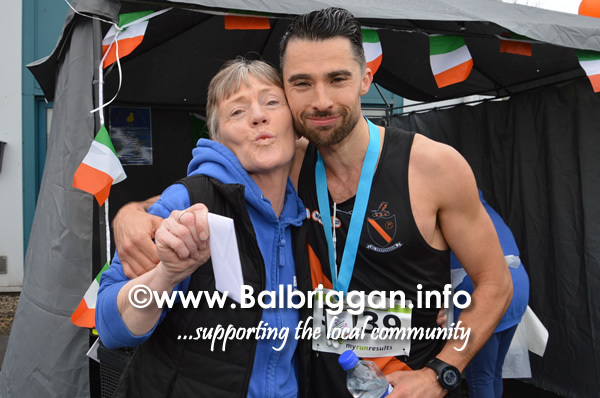 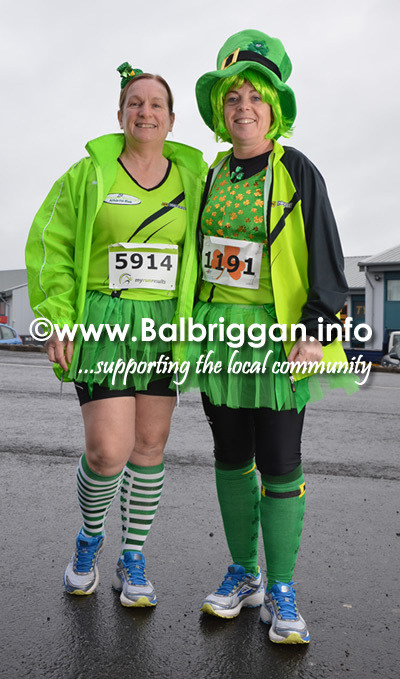 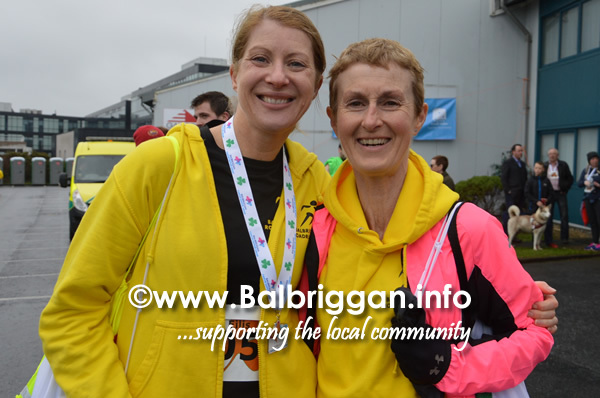 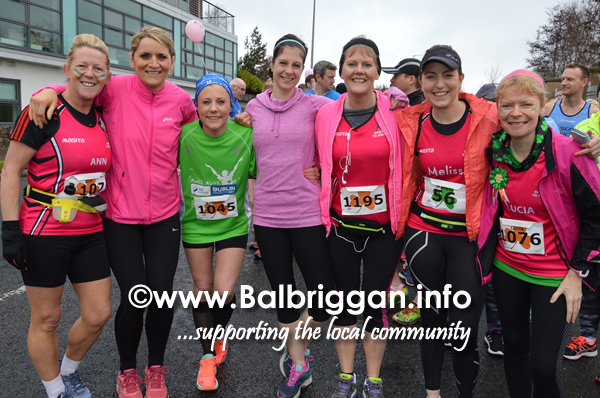 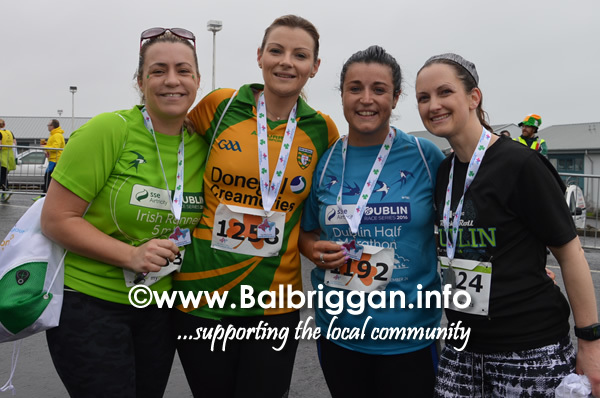 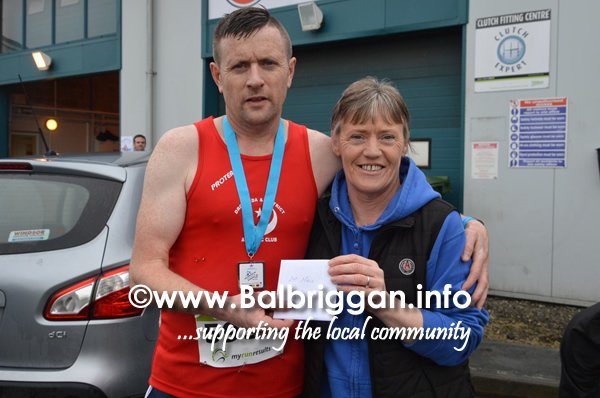 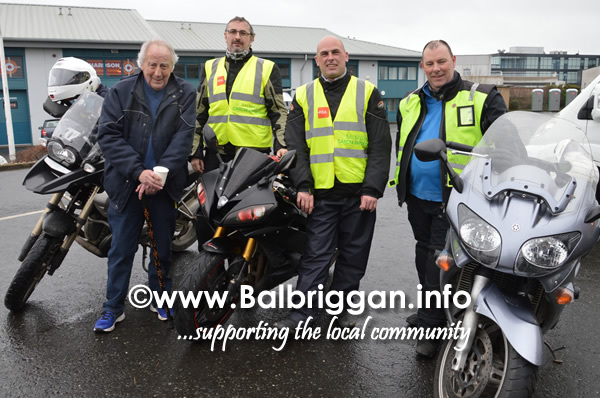 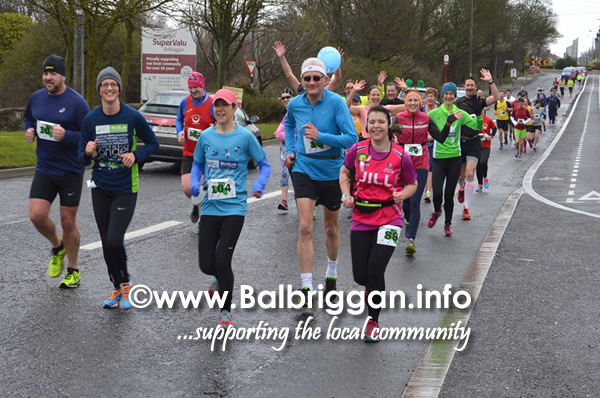 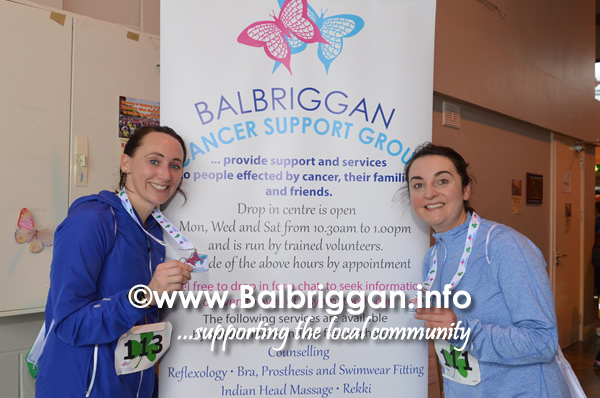 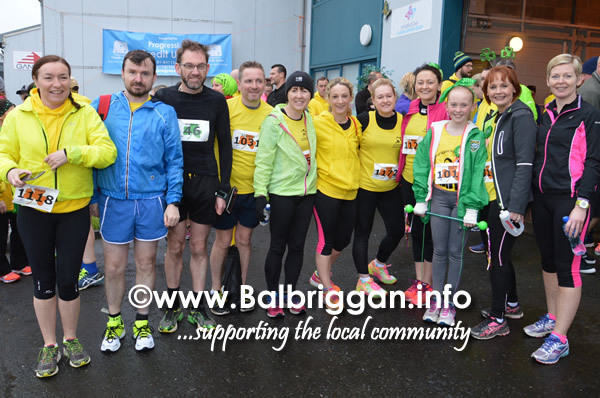 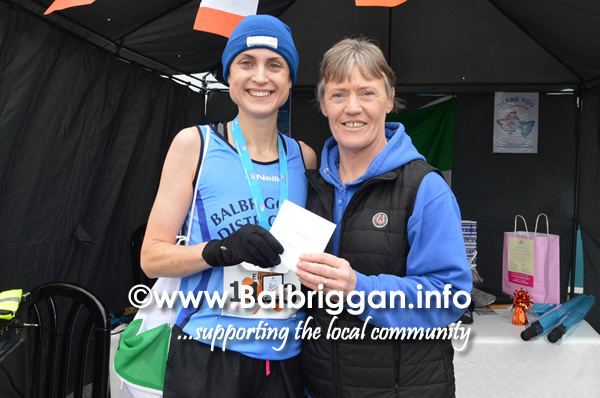 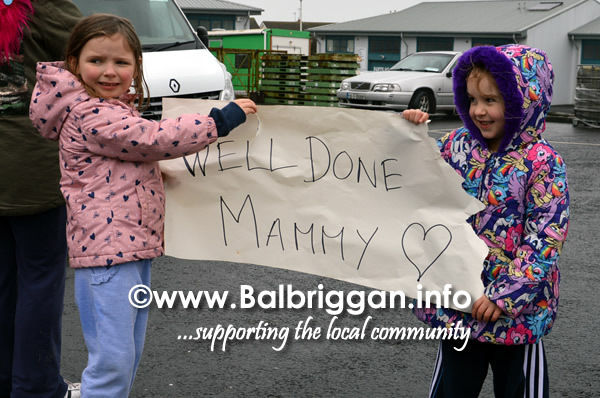 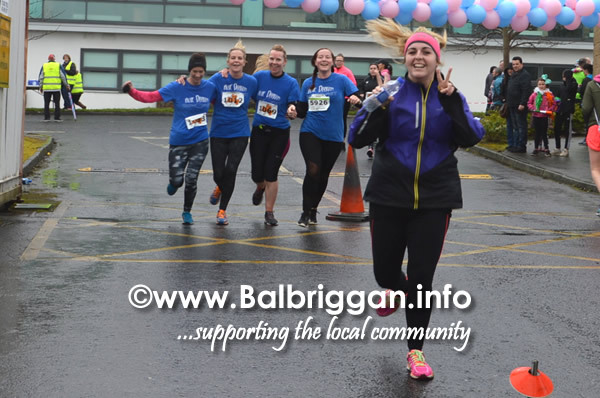 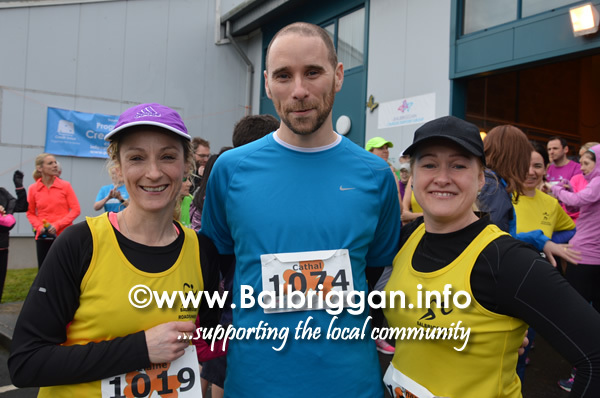 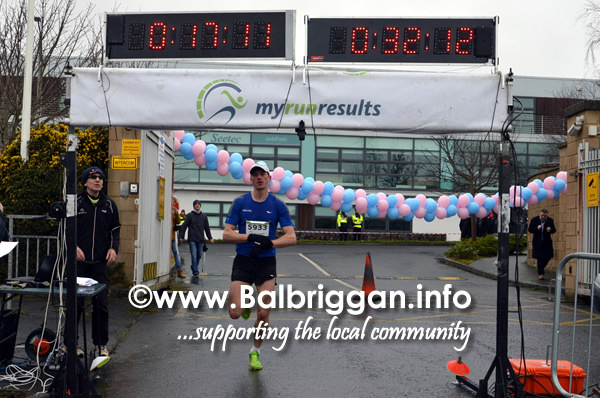 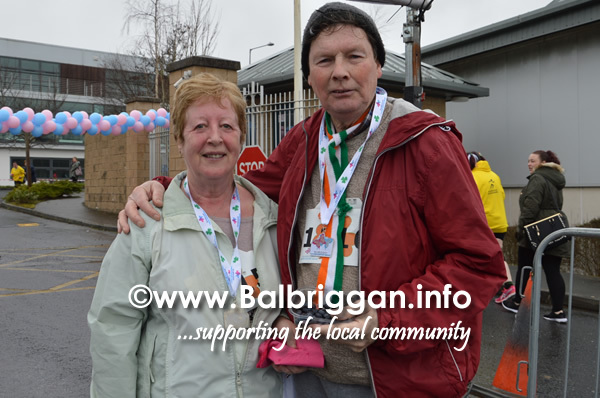 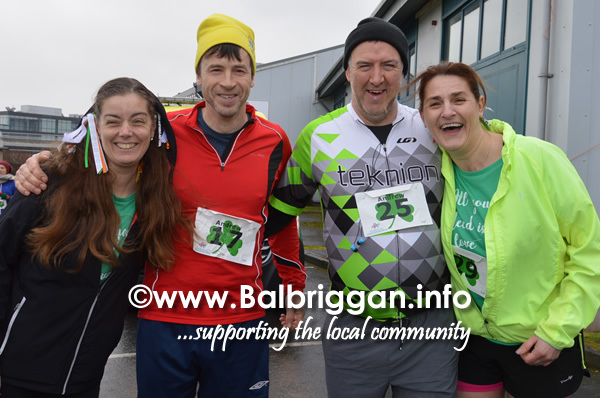 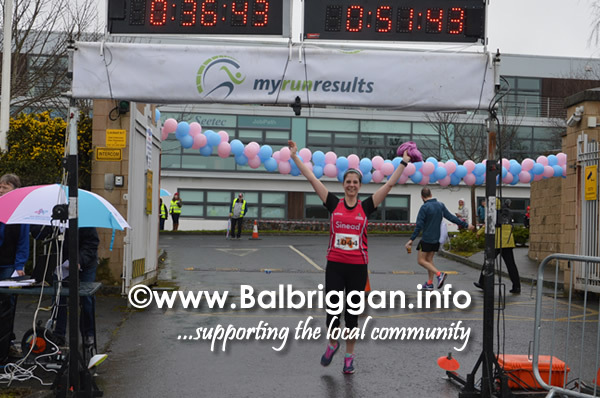 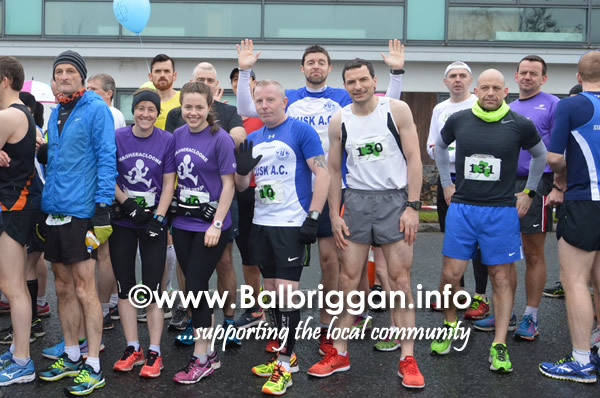 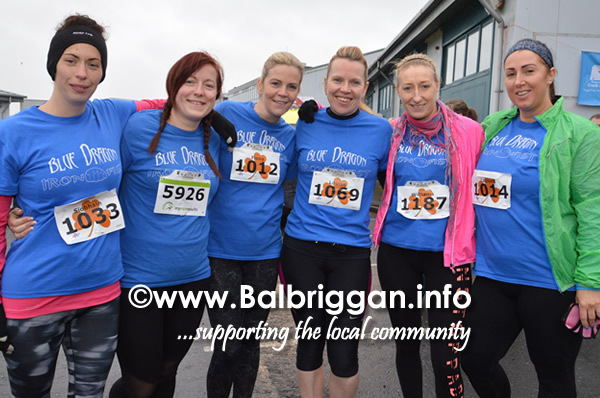 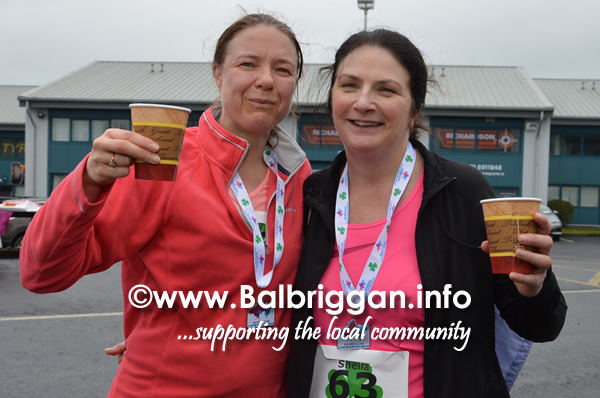 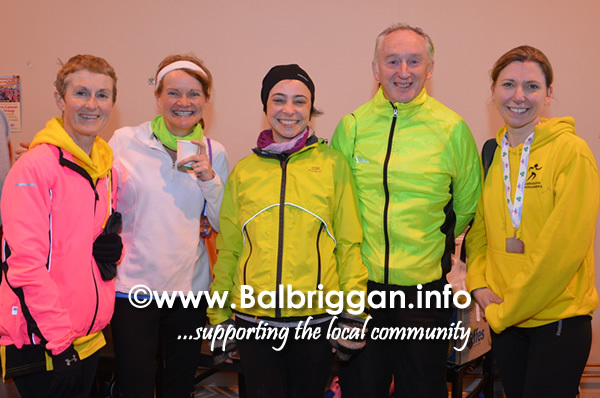 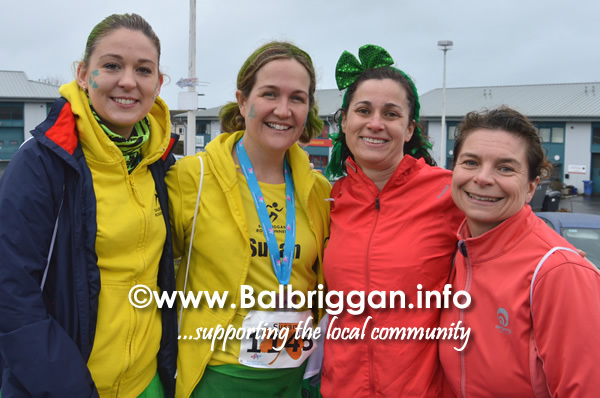 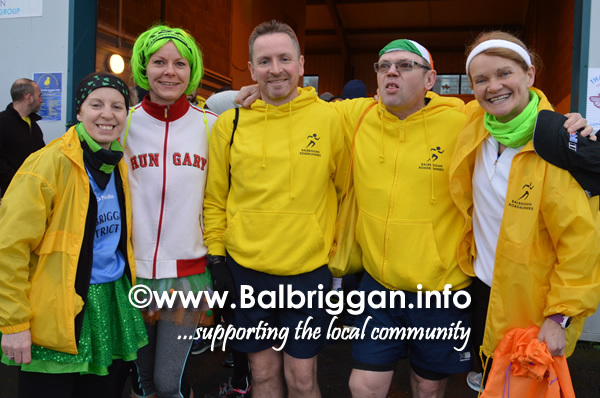 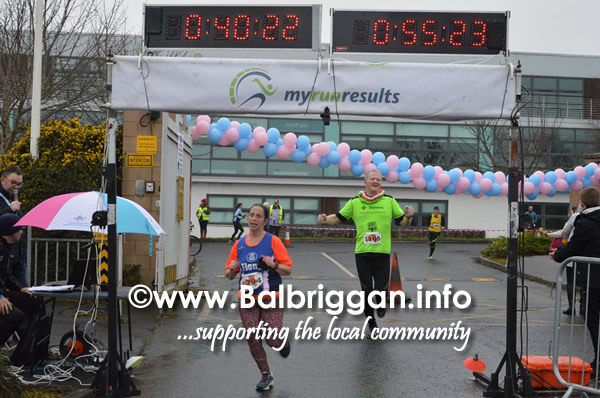 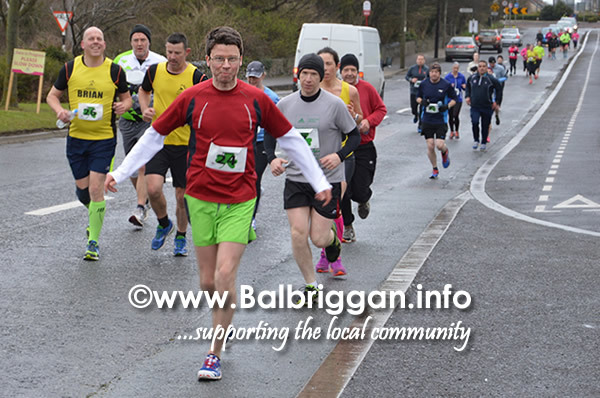 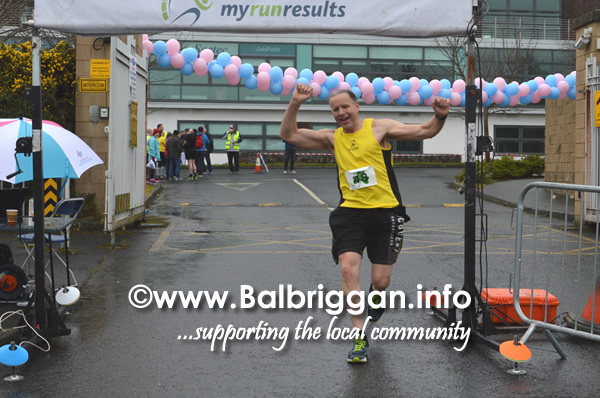 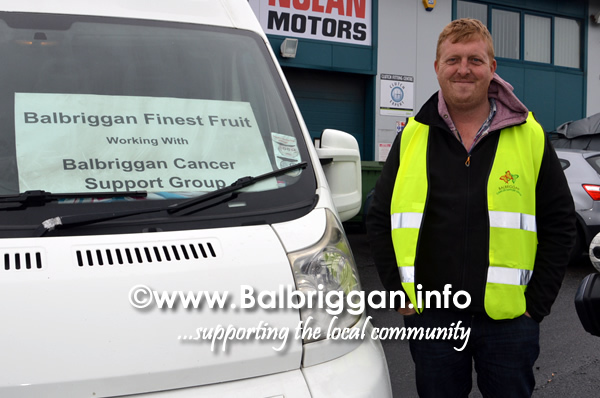 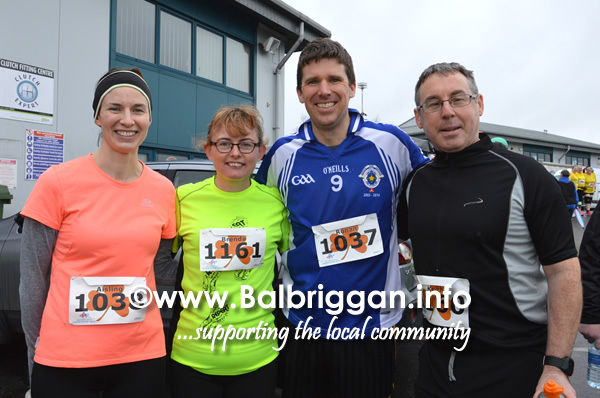 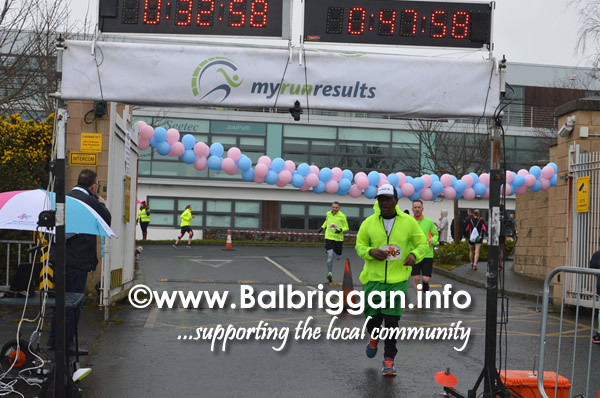 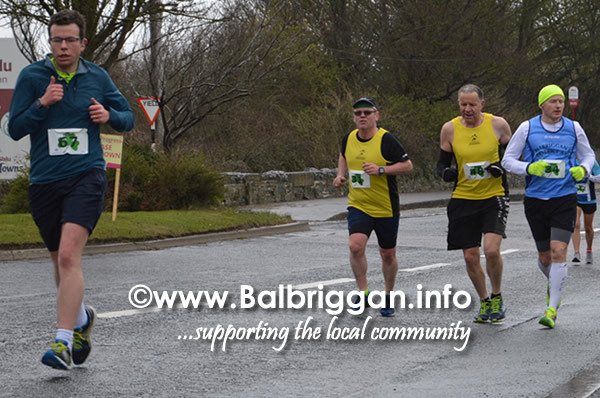 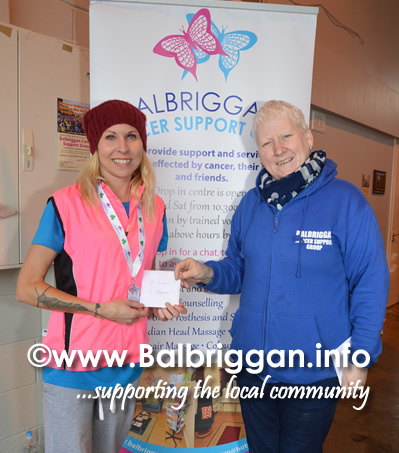 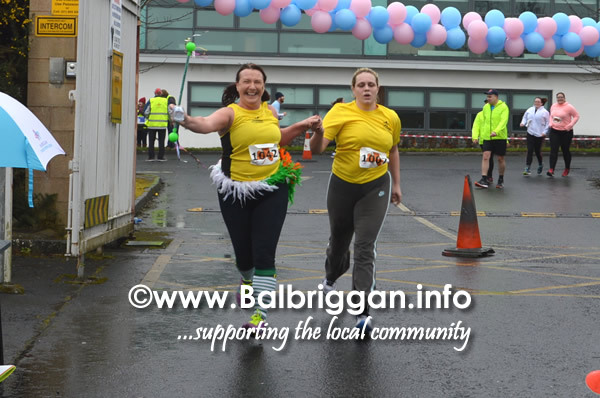 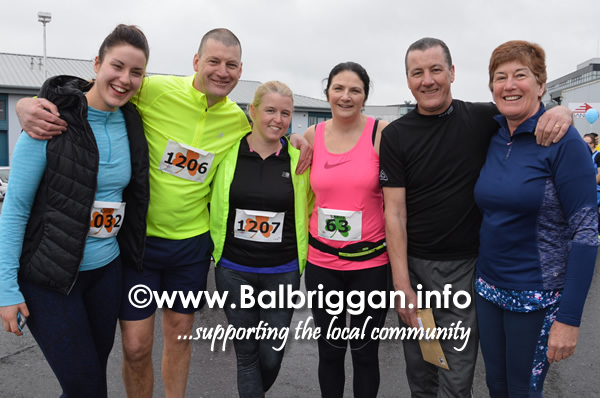 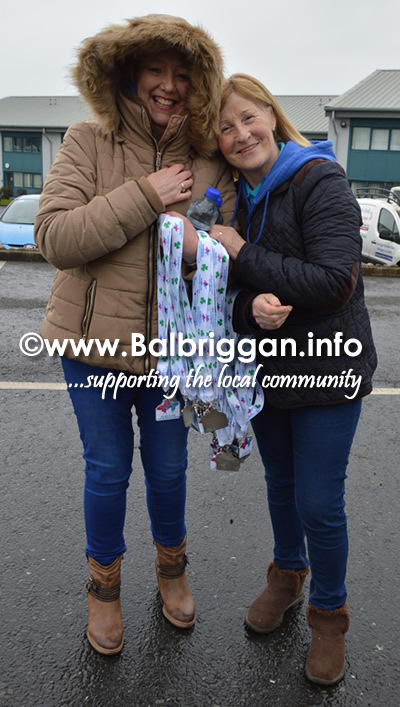 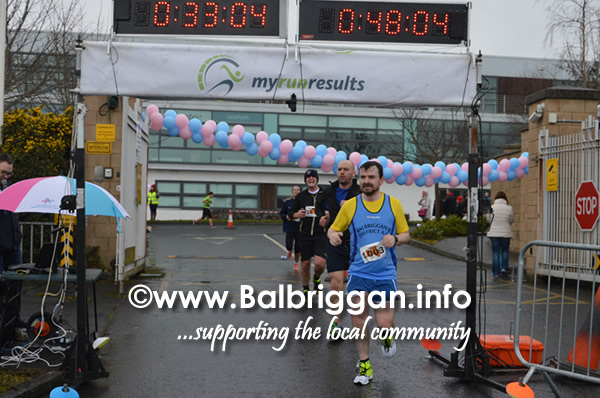 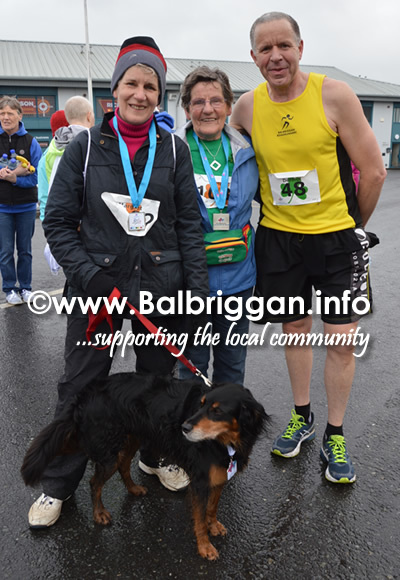 A fantastic morning at the Balbriggan Cancer Support Group Half Marathon and 10k. 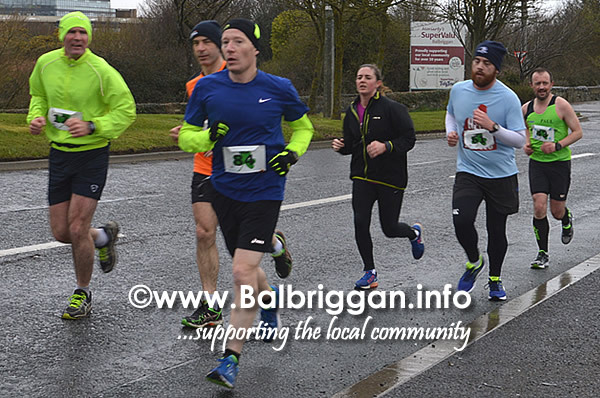 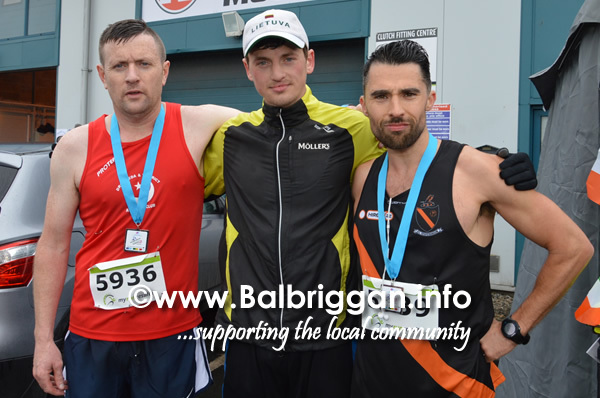 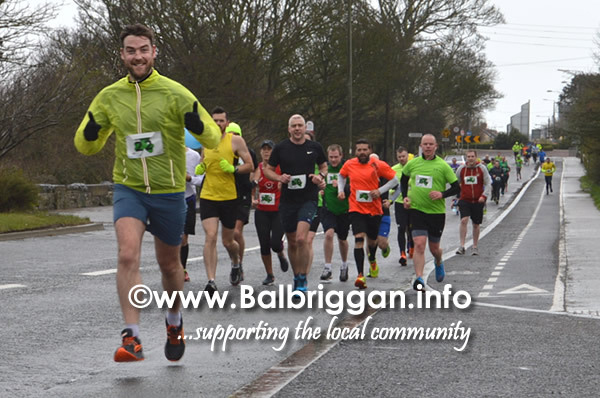 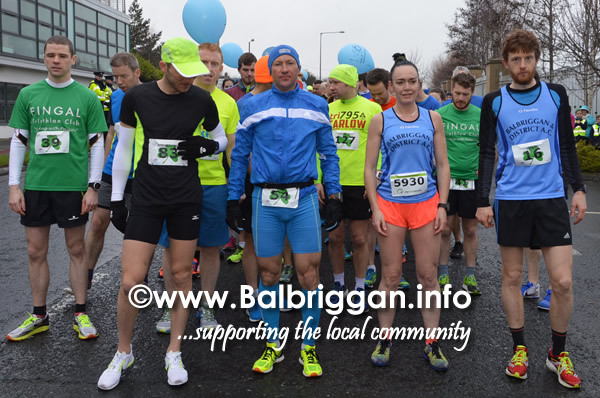 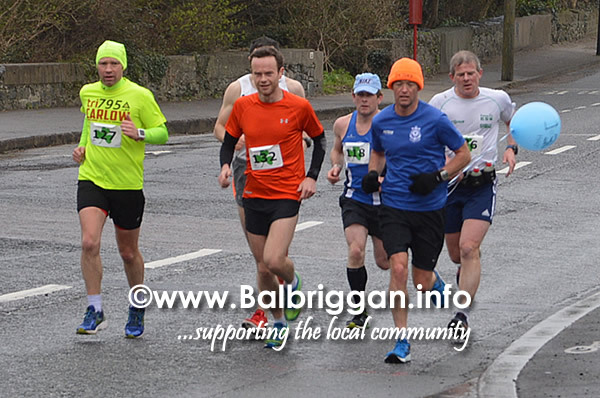 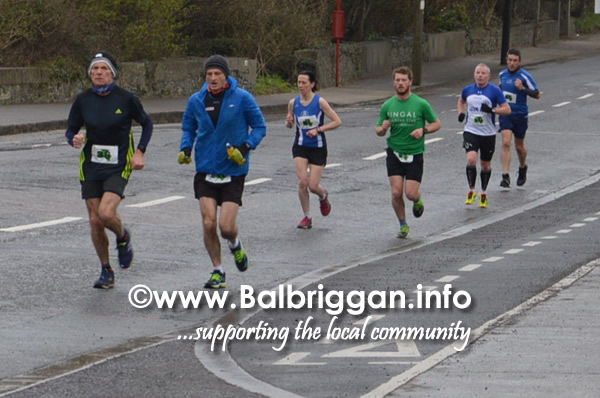 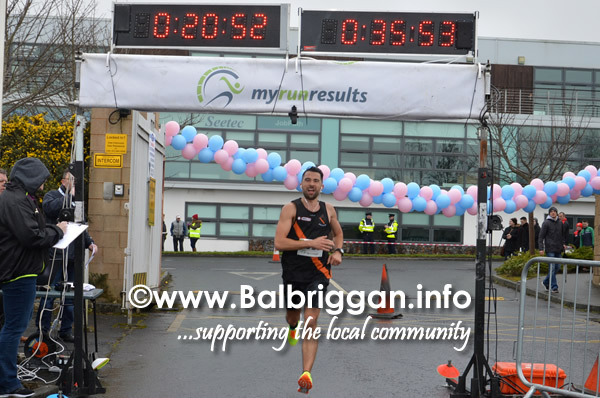 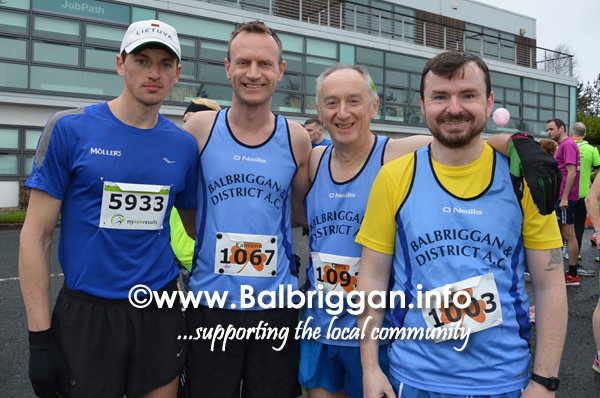 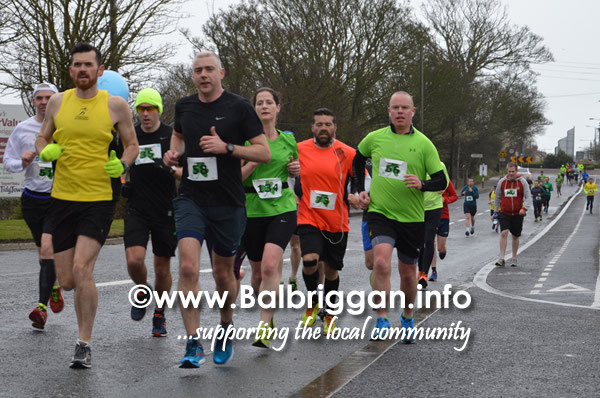 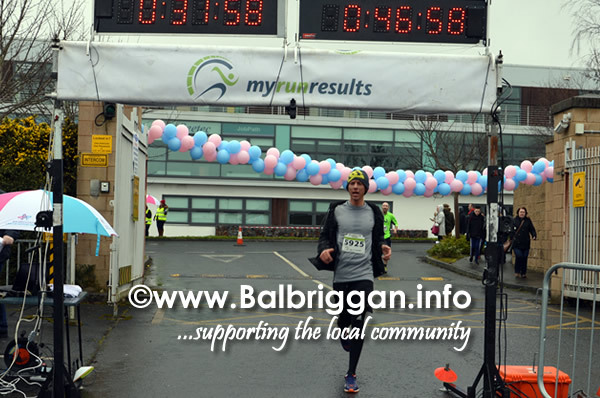 A very fast 10k of 32:13 from Balbriggan AC’s Valdas Doposklas who came in 3 minutes ahead of the chasing pack led by Stephen Kelly of Drogheda & District AC and closely followed by Karl Nolan from Clonliffe Harriers AC. 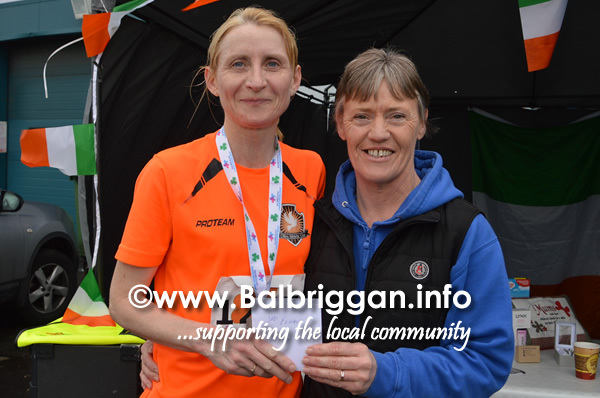 Tara Kennedy Monks claimed the 10K Ladies Race in 42:42. 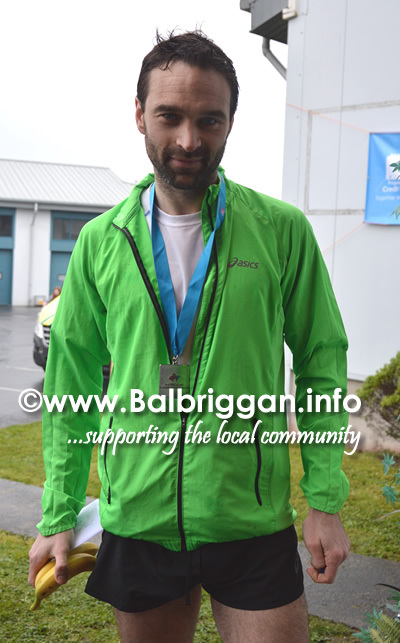 Alessandro Porazinni had a similarly dominant margin of 90 seconds in the Half Marathon, coming home in 1 hr 16 mins. 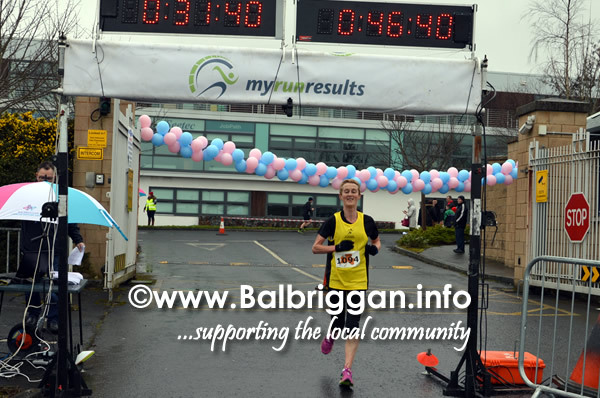 In the Ladies race Laura McDonnell’s had a comfortable win coming in nearly 14 minutes ahead of 2nd place.